Try following steps respectively and see if the problem is solved. 1) Look up [KKBOX] in Google Play and ensure you have the latest KKBOX Android installed. Once you have updated to the latest version, try downloading the tracks again. 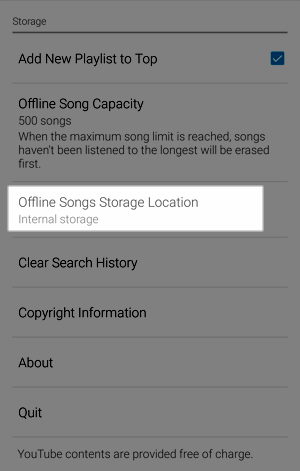 → change the location of your Offline Songs (from internal storage to SD card, vice versa), and try downloading the tracks again. 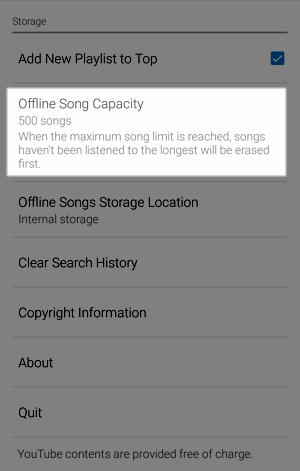 → choose [4,000 songs], and try downloading the tracks again. 4) Delete the tracks you are having trouble with and download them again. 5) Restart your device, and try downloading the tracks again. What was the problem with this solution? The solution did not provide detailed procedure. The solution is hard to understand and follow. The solution did not resolve my issue. The image(s) in the solution article did not display properly. The link(s) in the solution article did not work. ※ This form is an automated system. General questions, technical, sales and product-related issues submitted through this form will not be answered.